Common Cipro side effects in adults include nausea and diarrhea. In children, common side effects of the drug include nausea, diarrhea and stomach upset. 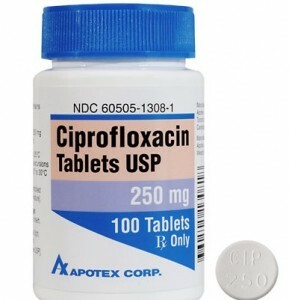 Rarer but more serious side effects of Cipro include fever, chills, flushing and changes in vision. In both children and adults, diarrhea was one of the most common Cipro side effects. Both children and adults reported rashes as the least common of these particular side effects. Some of these serious side effects are less common than others. The rarest include changes in vision, hearing or taste, signs of an allergic reaction, chills and flushing. Patients with certain pre-existing conditions may be at greater risk of side effects. For instance, conditions such as epilepsy, kidney disease and cerebral arteriosclerosis increase the risk of central nervous system problems and neurological side effects in Cipro users, even after just one dose. If a patient has any of these conditions, therefore, he or she should inform their doctor before taking Cipro. Other conditions healthcare providers need to be aware of before prescribing Cipro include tendon problems, nerve problems, QT prolongation, low potassium levels in the blood, myasthenia gravis or any allergies. The majority of Cipro users tolerate the drug quite well, experiencing no side effects. However, as with all other medicines, some patients will develop side effects.